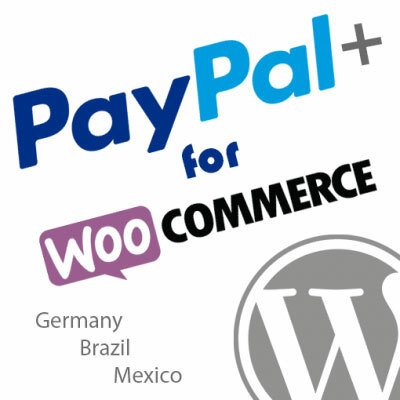 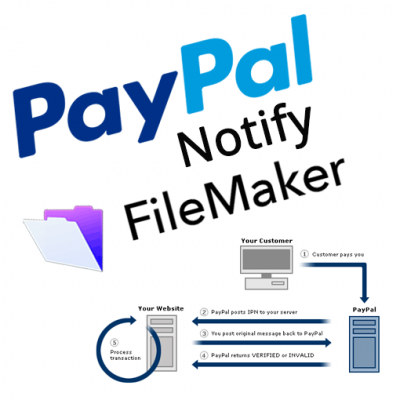 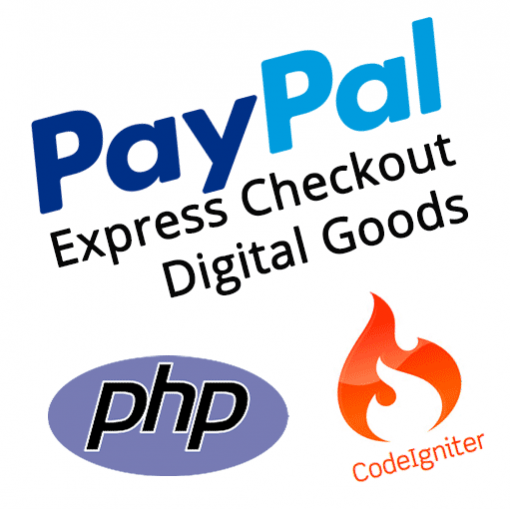 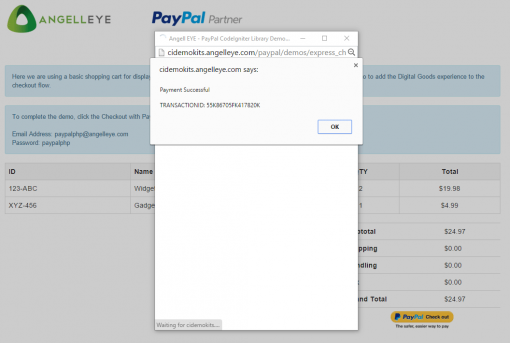 In this demo kit we take advantage of these advanced features to integrate the Digital Goods experience into CodeIgniter PayPal Express Checkout. 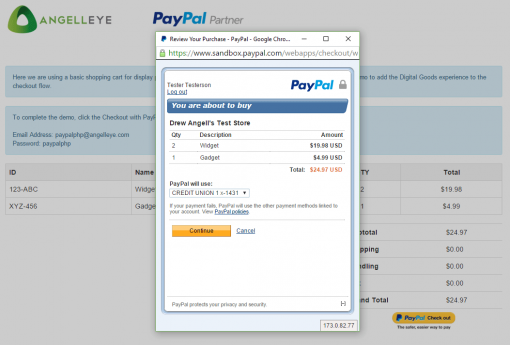 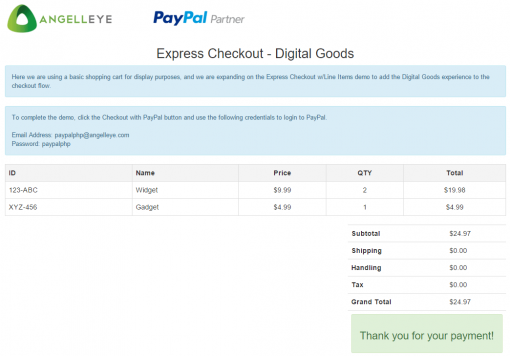 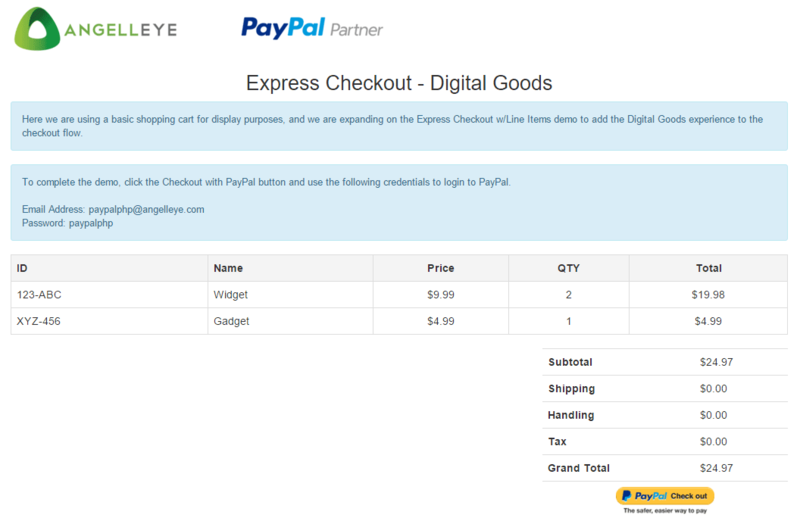 This demo kit includes a PayPal Express Checkout Digital Goods integration. 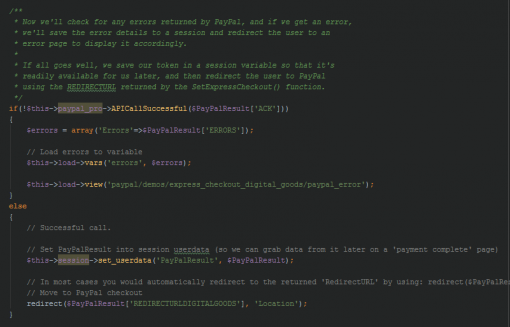 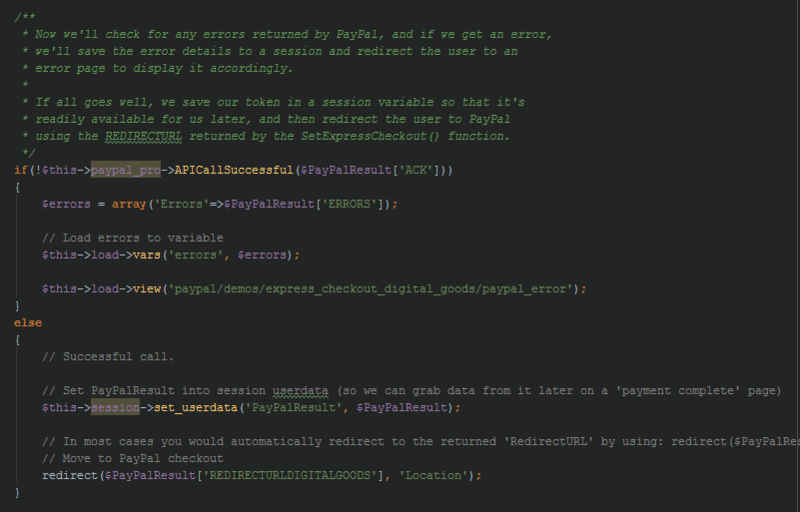 The API calls are setup specific to Digital Goods to show you exactly how this is accomplished. 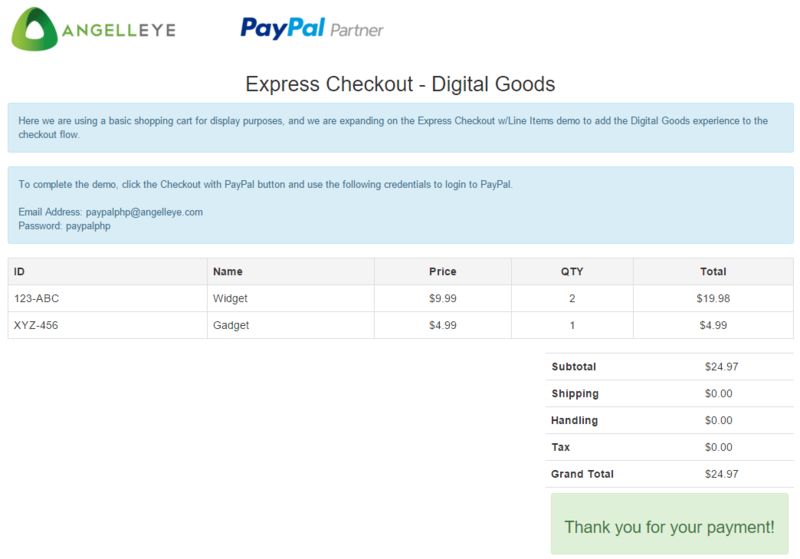 Order totals, description, individual shopping cart line items, and digital goods parameters are all included in the payment request to PayPal. 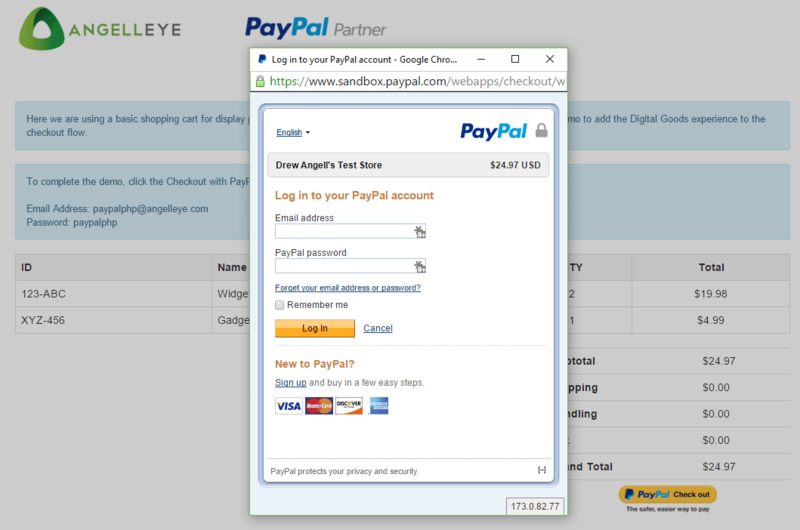 The PayPal login screen appears in a window on top of the shopping cart demo. 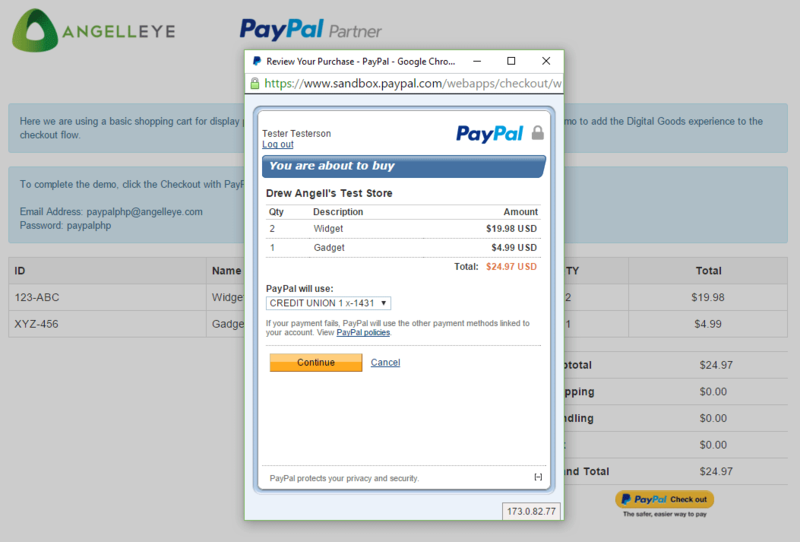 The payment window pop-up / iframe is automatically closed. 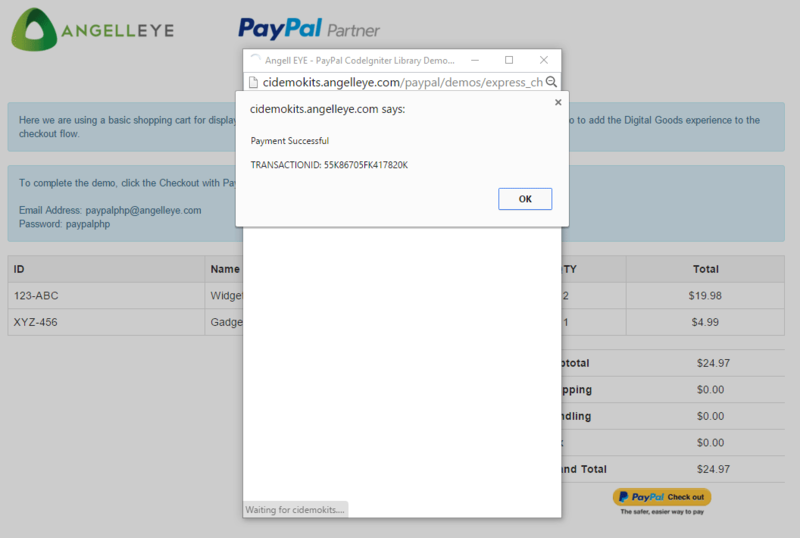 Demo completes at a payment successful page.